MK Michal Rozin (Meretz): "Liberman is taking advantage of his position to enforce his worldview." 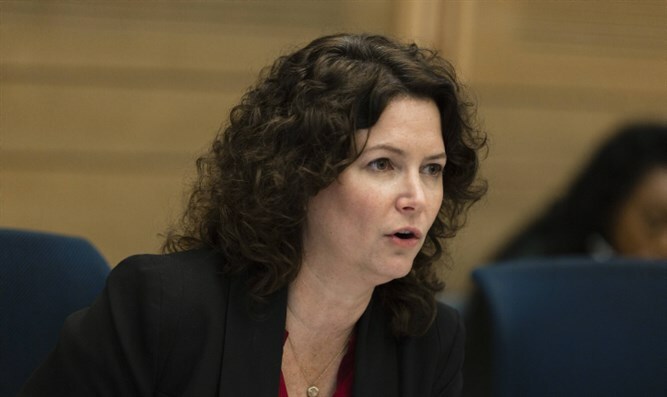 MK Michal Rozin (Meretz), previously the head of the Special Committee on Foreign Workers, attacked the decision of Defense Minister Avigdor Liberman to stop the volunteer work of IDF soldiers with children of infiltrators and foreign workers in South Tel Aviv. "The Minister of Defense is again taking advantage of his position to enforce his worldview and political doctrine on the IDF," Rozin asserted. "The attempts of Lieberman and his second-in-command, MK Eli Ben-Dahan (Jewish Home), to create a hierarchy for suffering and humanitarian needs [...] is a logic that [ought] not to be known in the State of Israel, and certainly not in the IDF." MK Rozin added: "I turned to the IDF Chief of Staff with a request to prevent political intervention in the worthy project of IDF volunteering in organizations that work for the weaker segments in Israel. IDF soldiers, and Israeli society in general, can, and must, know about the entire human fabric that lives in our State." MK Dr. Nachman Shai (Zionist Union) also attacked the decision: "the social-ethical hierarchy of the Defense Minister is lacking. Children of refugees are worthy of aid and the future soldiers and officers of the IDF would be enriched from [working with them]. The values of the IDF and of the State of Israel fit perfectly with this volunteering, and its cancellation shows a moral failure." "The pretext of 'the poor of your own city take precedence' [among the principles governing the giving of charity according to Jewish law] does not hold water; where was that concern for Holocaust survivors, for the needy and elderly, before the discovery that IDF soldiers also work with the children of refugees? ", asked MK Shai. On the other hand, Matan Peleg, the CEO of "Im Tirtzu", an extra-parliamentary movement that "works to strengthen and advance the values of Zionism in Israel", blessed the Defense Minister for his decision, saying "I have no doubt that the goal of the IDF lies in its ability to defend the State of Israel first and foremost, and not in other things. "Radical leftist organizations are trying to change the reality in South Tel Aviv, and this decision is an important first step towards change for which thousands in Southern Tel Aviv neighborhoods are waiting. The time has come to put a stop to this [infiltration] phenomenon before it's too late," Peleg added. Tags:Nachman Shai, southern Tel Aviv, Michal Rozin, infiltrators.